Do you ever have nights when nothing goes right? 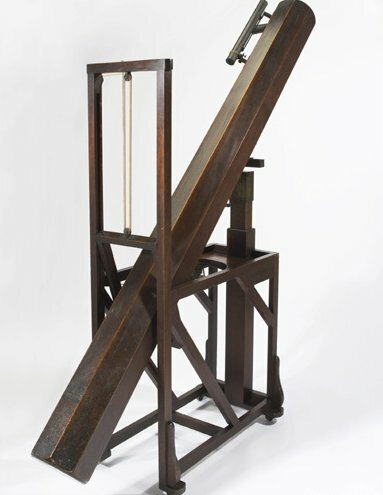 The telescope won’t track or won’t go-to its go-tos. The laptop computer is having some kind of hissy fit. You left one or more vital accessories at home, 300 miles away. I suspect even ol' Willie Herschel had nights like that (sans computers and go-to, of course). I sure just had one—well, a part of one, anyhow—down at the Chiefland Astronomy Village. But, in standard Unk Rod fashion, I am already getting ahead of the story. 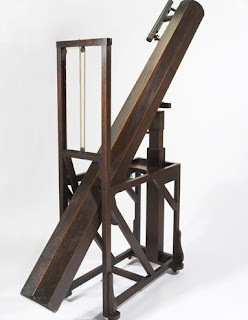 I wanted badly to head to the CAV last month, April, for the annual Spring Picnic and to continue The Herschel Project. I ain’t missed one of them spring hoedowns in…well…now that I think about it, prob’ly close to a decade. Lots of good friends, lots of good food, at least the potential for lots of good observing. Given Miss Dorothy’s initial experience with chemotherapy, though, that plan went out the window in a right quick hurry. Miss D. was very sick and I needed to be at her side. I didn’t think much about Chiefland for a couple of weeks. Until, with D. back at work and at least beginning to tolerate the nasty stuff they were pumping into her veins, I began to idly ruminate about “Down Chiefland Way,” maybe in June or July. The rubber hit the road not long after when D. pronounced, “Rod, you need a break. You need to go to Chiefland.” I needed a break? I didn’t feel like I’d done much. Miss Dorothy was the trouper. Nevertheless, with her much improved and the younger daughter, Lizbeth, staying with us to help out, I thought I might get away for a few days. If I was gonna do the trip south, step one was making reservations at my usual “campground,” the Holiday Inn Express. I have tent camped on the CAV field—once. It was May, as a matter of fact, and temperatures on the field were in the 90s by mid-morning and over 100 by mid-afternoon. I’m used to hot weather, but man did I suffer. Never again! 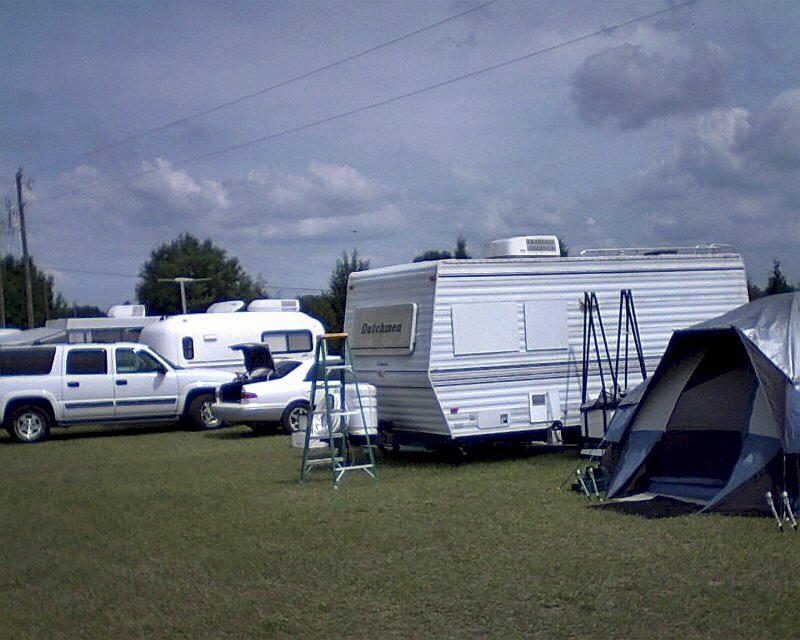 The secret to enjoying Chiefland in hot weather for those of us who don’t do RVs or travel trailers is STAY IN A COTTON PICKING MOTEL ROOM DURING THE DAY (or Bar-B-Q Bill’s, or Wal-Mart, etc.)! Without a star party going on, there’s nothing to see or do onsite, anyhow. Everybody there will be hunkered down out of the brutal heat. A little more Googling revealed the Chiefland Holiday Inn Express had switched brands, to Day’s Inn. There were accommodations available, but I was a little hesitant to hit the “go” button, since Day’s Inn is a step down in quality in this ol’ boy’s experience. There’s also a Best Western in town, but, given my less than stellar experience the last time I stayed with them (“You need towels? !”), and the low Day’s Inn rate, 200 bucks for three nights with tax, I couldn’t resist giving the new guys ONE chance. I arose bright and early Thursday morning for my trip and immediately began loading the Toyota in hopes of getting away by 8 a.m. That would put me in Chiefland at check-in time, and would leave plenty of leeway for setup, as it don’t get really dark down there this time of year till after 9pm. There was plenty of astro-stuff to pack, but maybe not as much as usual; I was at least trying to travel a little lighter than I have at times. Frankly, my marshalling of the gear in Chaos Manor South’s front parlor the previous evening had been a little half-hearted. Not because I wasn’t excited about my trip, but because I was TIRED. Again, it really ought to be Miss D. who’s complaining (she is not), not moi, but it has been a rough few weeks for both of us. Once again, as has been the case for the last couple of years, I was travelling alone, and once again my iPod came to the rescue. Also as per usual, the audiobook I’d loaded up was a Stephen King, The Dark Tower V: Wolves of the Calla. My Chiefland trips are the main reason I finally got into that huge series (seven incredibly fat volumes), which I’d tried and dropped at least once before. I was a captive audience on my CAV excursions, and after I’d got past the opening chapters, I found myself well and truly hooked. I spent the 5.5 hours of the drive down this time happily listening to the adventures of Roland the Gunslinger and his erstwhile friends. Yep, it’s a boring 275 miles of I-10. Only bright spot there other than the iPod was the fact they have finally—after years and years—finished the road construction at Tallahassee (!). 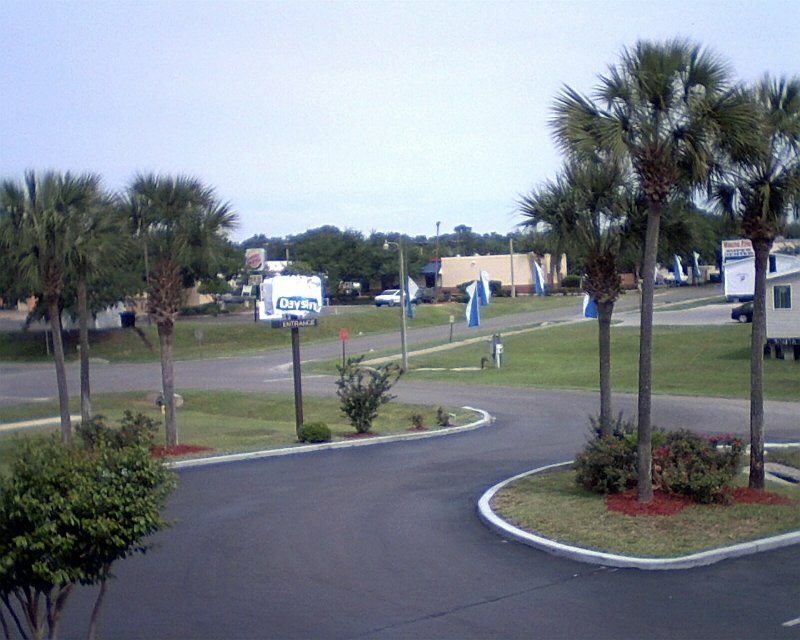 I proceeded through at a good clip, and soon turned off on Highway 19 for the final run into Chiefland, with the last 30 miles or so featuring vistas of lost 1950s – 1960s motels and the beautiful Suwannee River. Approaching my destination, I cut off the iPod and began playing “what did I forget?” I was reasonably sure I’d brought everything needed to use and run the scope—cords, eyepieces, dew shield, dew heaters. But something was nagging at me. Several things. Dammit! Forgot my camera. I always like to take a few snapshots of my field setup. Maybe I could find a cheap digicam in Wal-Mart. Dammit! Forgot my computer shelter! Well, felt to me like the dew was gonna be light and the netbook would be under the tent canopy, anyway. Dammit! Forgot the box of assorted tools, tent stakes, ropes, and suchlike. I could get whatever I needed at WallyWorld, no doubt. Probably just a roll of duct tape would be all the “tools” I’d need. Pulled into the motel with a bit of trepidation. Yeah, the storied Holiday Inn Express looked the same save for the plastic sheets emblazoned with “Day’s Inn” temporarily covering the old signs. Still, I wondered. Turned out I needn’t have. Same friendly folks at the desk, same clean (if slightly shopworn in small-town fashion) rooms. According to the owner, they are even in the process of doing some needed remodeling. That’s good, but I was just happy, as I always am, with The Same. Bags unpacked in the room, it was back to the car for the trip out to the AV of CAV. If you’ve never been down, the Chiefland Astronomy Village is the realization of the dreams of a group of dedicated amateur astronomers. It’s a housing development far out enough from Chiefland proper to be mostly clear of the town’s light dome. On this land, folks have houses and observatories, and there is lots of open space, including the area where I set up, the Billy Dodd Memorial Observing Field. There is a newer field with comparable facilities run by another group of residents, the “CSPG,” the Chiefland Star Party Group, but that is a story for another time. Where I go is the back-forty of my friends Tom and Jeannie Clark, the site of the legendary Chiefland Star Parties they hosted for so many years. The prime attractions on the field, aside from impressively dark skies when the weather cooperates, are plenty of AC power, a Clubhouse featuring real bathrooms and an icebox, and showers (new ones) for the folks who stay on-site. Hell, there’s even wireless Internet. But more than those nice things, what brings me back several times each year is the good vibes and the good folks I’ve observed with for so long. It truly is like coming home. 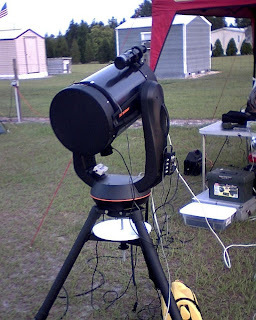 I went to work with a will setting up my NexStar 11, Big Bertha, though I didn’t rush myself. There was plenty of time, and there was no need to stress-out in the heat. Bertha assembled, I got the EZ Up erected with the kind help of good buddy Carl Wright (nearly a dozen folks were on the field for this Maytime dark of the Moon). It’s possible to erect the tent canopy by myself, but it’s a hell of a lot easier for two. Under it went the observing table, five or six gear boxes, and a couple of chairs for use at the scope and at the computer. By the time I was done, I was sweating, but I wasn’t drenched. Still, it was nice to get in the Camry and crank up the air conditioner for the trip back to town and a run on Wal-Mart. First order of bidness was grub. I’d skipped breakfast to get on the road early, and was feeling a mite peckish. Luckily, the Chiefland WallyWorld has a McDonalds inside. Is that hometown America or what? Yeah, I’ll admit I’ve never quite lost my taste for Mickey D’s., even if, fortunately for my aging bod, I don’t give-in to those unspeakable desires often. With no Miss Dorothy around to appeal to the better angel of my nature, I headed right for the counter and, in zombie fashion, droned…. “Uh…Uhhhhhhh… QUARTER POUNDER—WITH CHEESE!” At least I had the presence of mind to decline to be SUPERSIZED. My little indiscretion devoured, I inventoried the shelves for what I’d need. 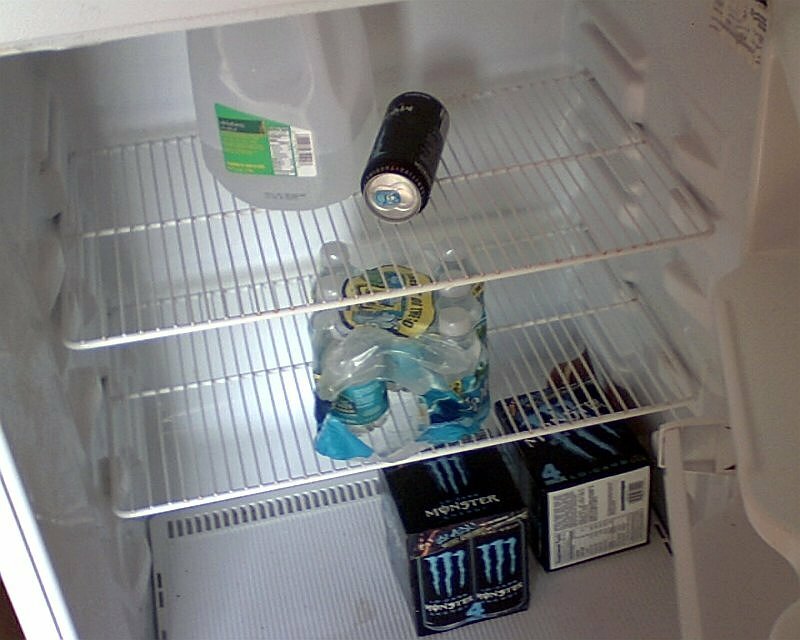 Of course Monster Energy Drinks went in the buggy. Jack Links, too. I currently favor the Buffalo Chicken Nuggets. Don’t know what in Sam Hill they put in them things, but they shore is tasty at 3 a.m. Better get some Sasquatch Big Sticks™, too. What else? Bottled water and plenty of it. A post-observing 12-pack of brew. Roll of duct tape just in case. Scoured the electronics department and came up with a little digital camera with which to document my adventures for y’all for fifteen measly simoleons. Produced 1600 x 1280 images, the package said, and even had a little flash. Su-weet. Thence back to the motel. I wasn’t sleepy, but some cool quiet-time would be good, I reckoned. I spent the balance of the next three hours with a book, Michael Lemonick’s The Georgian Star, his lively recounting of the lives and adventures of Willy-boy Herschel and his sis, Lina. I also fired up the netbook and, after checking the Astromart, took a look at my SkyTools 3 observing list with an eye toward strategizing on the night’s plan of attack. Good and bad was revealed, muchachos. The good was that I’d have plenty of time to pursue my two main targets for the first night, Virgo and Ursa Major, with their countless galaxies. The bad? I’d screwed up BIG TIME over the course of the winter. I should have made sure I covered Canis Major, Puppis, and Vela. I didn’t. SkyTools showed I might barely be able to hit these three just after sundown if it was clear to the west-southwest, but it would be a near, near thing any way you sliced it. The other thing to ponder? How exactly would I go after the night’s objects? How would I need to structure my runs to accomodate the weather forecast? Wednesday evening, Wunderground.com had been forecasting “clear” for all three nights of my stay. By the time I arrived, that had changed. Tonight, Thursday night, would be “mostly clear.” Friday evening degenerated to “some clouds,” and the sky would degrade further on Saturday with “a chance of rain” coming on strong Sunday. I’d planned to spend my first evening doing relatively relaxing visual observing. The weatherman, however, intimated I’d better get on the stick and catch as many DSOs as much as possible the first night, with the Stellacam II deep sky video camera being the most efficient way of doing so. I do still love looking through eyepieces, especially my Ethoses, but, surprisingly, the images the video camera brings back look way more like what I see in an eyepiece than what a “real” CCD camera delivers. Stellacam it would be, then. Left the room about 7 p.m. Needn’t have hurried. Not only did astronomical twilight not arrive until after 9pm, when it did there were considerable clouds drifting around. The gear was ready to go, with the netbook cranking, the Stellacam on the rear cell, and the Bahtinov mask close at hand, so all I could do was twiddle my thumbs. I waited. And waited. Goodbye Big Dog, Poop Deck, and Sails. It wasn’t till 9:45 p.m. that I was finally able to get the C11 aligned and focused-up. After that, the problems began. I had noticed that, when I connected SkyTools 3 to NexRemote’s “virtual port,” the little green “comms” LED on the USB – serial thingie started blinking like mad. I shut ever’thing off. Realigned, but left ST3 out of the mix. Just went on go-tos with the NexRemote virtual HC. All was hunky-dory. Brought up SkyTools. Still A-OK till I tried a go-to with SkyTools. Missed. Tried another. Bertha didn’t stop anywhere; she just kept moving slowly and aimlessly across the sky. I clicked the button to disconnect ST3 from NexRemote. Bertha was fine again. For the balance of the evening, I read the numbers off SkyTools 3’s observing list, and just punched them into the virtual HC running alongside it on the screen. That was not at all inconvenient, so “no problem,” really. I’ll have to troubleshoot further, but I assume the major malfunction is either with the USB - serial converter or that NR just doesn't like Windows 7. If any of y’all have experienced the same, or have any ideas, I sure would like to hear ‘em. Alright. Alarums and excursions done, I was able to get to work. Thus far it had been a night where nothing much, from sky, to computer, to scope had gone right. Now, though, it was clearing, the Milky Way was burning, and I started plugging away at Ursa Major’s copious ration of island universes. Almost immediately, I felt myself get into that blessed ZONE. One object after another was recorded on DVD and its vitals logged via my li’l Sony Pressman audio recorder. Yeehaw! Over to Sextans for one pickup while waiting for drifting clouds to clear off from Ursa Major and Virgo. NGC 3156 (H.III.255) is a nice elongated galaxy with a brighter core, and is less than 2’ long. NGC 3516 (H.II.336) is most assuredly nothing to write home about. Hard to even distinguish this S0 Ursa Major sprite from a star. On the Stellcam monitor it is round and slightly fuzzy and that is it. NGC 3065 (H.II.333), a fairly attractive little SA0 dude in Ursa Major, is a bright magnitude 11.8. Paired with another, smaller galaxy, NGC 3066. A magnitude 12 field star is about a minute and a half to the north-northwest. NGC 3622 (H.II.879), magnitude 13.7, is about 1’ x .5’ in size. Set in a rich and attractive field of small galaxies. On its POSS plate, NGC 2805 (H.III.878) shows nice spiral arms, but they are not visible tonight, likely due to so-so seeing. A round dust bunny. NGC 3668 (H.II.845) is a small, 1.8’ Sbc oval at magnitude 12.8. Almost wants to give up some detail. There is a magnitude 15.4 field star involved with this galaxy. NGC 3359 (H.V.52), the best Bear galaxy yet, is a cute li’l barred spiral that shows off its arms and a small, bright core very nicely. With NGC 2880 (H.I.260), I’m back to 13th magnitude fuzzballs. Near a line of several prominent field stars. Otherwise, the only features are that it’s oval—perhaps—with a brighter center. NGC 4605 (H.I.254) is weird and interesting. Elongated, tadpole shape. Hints of dark lanes are visible on the monitor that are not apparent on the overexposed POSS plate. Large—almost 5’ across in images. Like a miniature Whale Galaxy (NGC 4631). 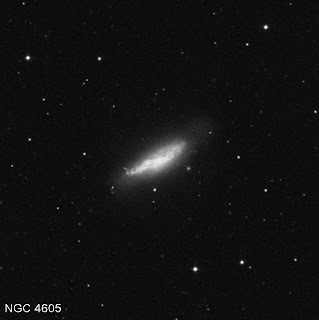 NGC 5308 (H.I.255) is a bright and attractive spindle-shaped S0 of magnitude 12.2. The Stellacam image Looks exactly like the POSS plate. Bright center, which sometimes looks a little off-center with regard to the disk. NGC 5430 (H.II.827) a.k.a. Markarian 799, is also attractive. It’s an odd-looking SBb. One distorted-appearing spiral arm ruins the classic barred spiral look. 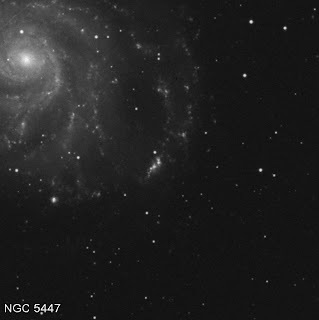 NGC 3642 (H.I.245) is not overly impressive. Fairly bright core, and some signs of arm-detail in this SAbc. Main attraction here is that it’s in field with several other small galaxies including NGC 3690, NGC 3610, and NGC 3613. NGC 5204 (H.IV.63) is interesting on the POSS plate, and appears to be a face-on spiral. It’s classified as an Sam, indicating a slightly irregular appearance . Whatever its classification, it’s an attractive large—about 4.6’—magnitude 11.7 galaxy. NGC 3225 (H.II.822) is a little wisp of an Scd galaxy at mag 13.5 and 1.7’ across its major axis. Intermediate inclination to us. When the seeing calms, I see some spiral structure. Somewhat brighter core, but I don’t seem to see a nucleus. A small barred spiral, NGC 4290 (H.II.805) looks like its pictures, with a bright core, a prominent bar, and wrapped arms at the ends of the bar giving it what I call a “Tie Fighter” shape. In the field with another galaxy, NGC 4284, a 14th magnitude intermediate inclination spiral. This pair is not far from one of the least observed Messier objects, M40, a nondescript double star. NGC 3669 (H.II.829), an edge-on, is a weirdo. Looks as if someone took a fat magic marker and drew a line across the sky. NASA’s NED says it’s Hubble type SBcd. When the wind and the seeing let me, I can detect patches of varying brightness along the disk. NGC 3683 (H.I.246) almost looks like a lenticular on the POSS plate, but on the monitor, it’s clear it is a normal SBc intermediate spiral. Bright nucleus and a spiral arm visible at times. NGC 5585 (H.I.235) is a large 5’ patchy-armed spiral. Not overly impressive. Obviously elongated with a brighter core. Rarely do I get a hint of its multiple arms. NGC 4271 (H.II.804) is also not much to look at, a mag 13.6 fuzzball 1.7’x1.4’ in size. It’s an elliptical, an E-S0 with a bright core and outlying haze. Despite an integrated magnitude of 13.3, NGC 5443 (H.II.799) is bright and interesting. It’s a near edge-on barred spiral that shows considerable detail near its nucleus, including a dark lane that makes it look a little like a miniature Black Eye Galaxy. Fuzzballs need love, too. NGC 3073 (H.III.853), a lenticular, is a little spot on the sky, but it’s a nice view due to the presence of the spectacular NGC 3079 just 10’ to the east. The famous and challenging Double (or Twin) Quasar is only 15’ to the north – northwest. NGC 5485 (H.I.232) is a bright magnitude 12.4 lenticular galaxy 2.6’ across its long axis. 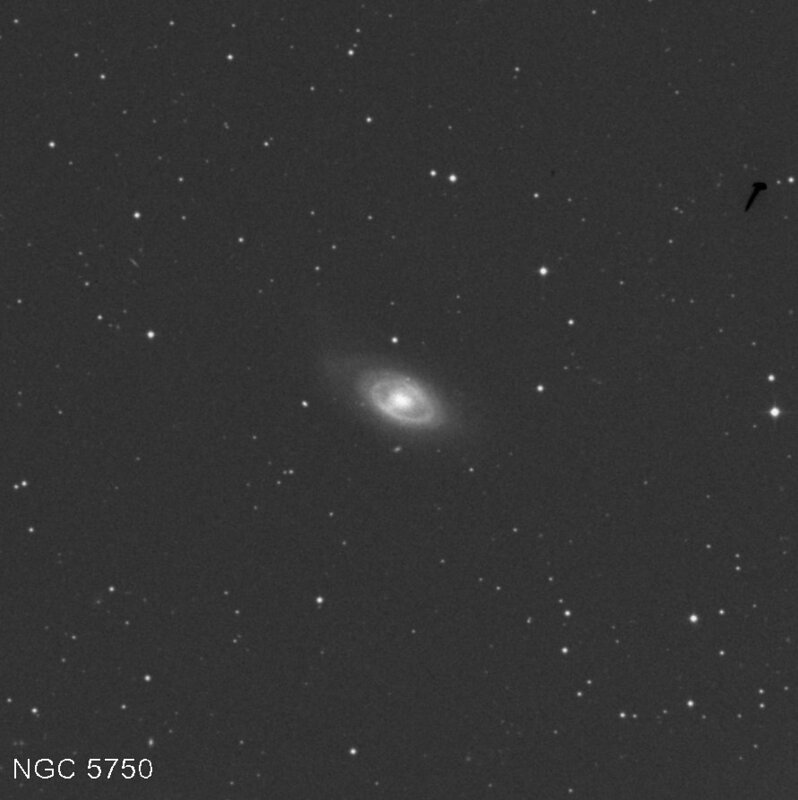 Also in the field is another, smaller galaxy, magnitude 14 NGC 5486, a little less than 6’ to the north-northwest. 5485 has a bright core, and is obviously slightly elongated. NGC 5462 (H.III.789) is surprisingly prominent tonight. It is an elongated, patchy HII region in one of glorious M101’s arms. Exceedingly bright. 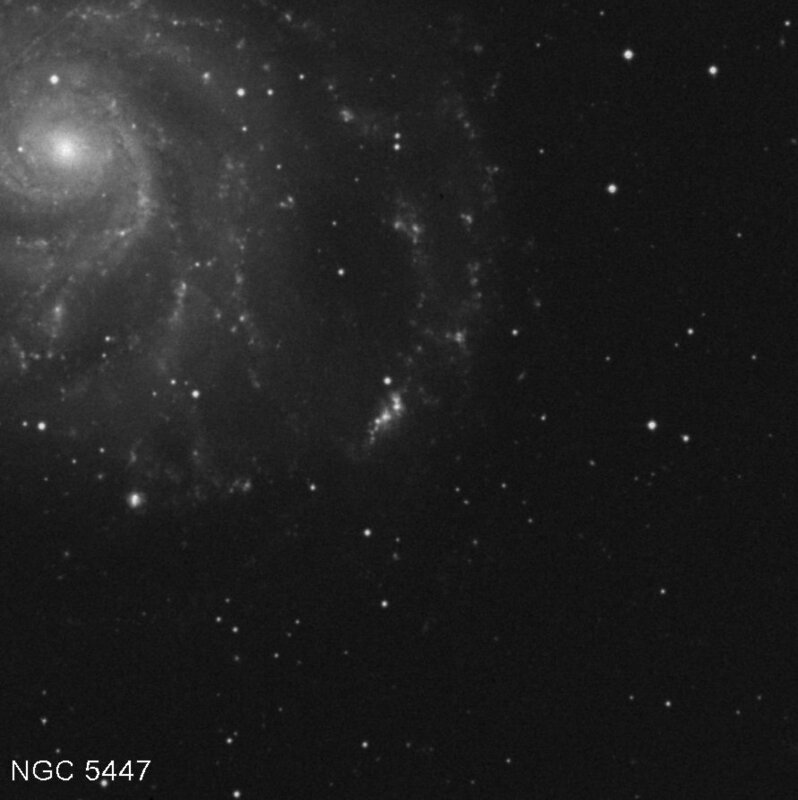 Next up is an intermediate inclination spiral, NGC 3756 (H.II.784), a nice SABb. Some fairly prominent arm detail apparent. Bright nucleus. NGC 5447 (H.III.787) is another lovely M101 HII region, a huge elongated nebula in the midst of a spiral arm. A marginally interesting little (1.5’) Sb spiral, NGC 2756’s (H.II.828) brightness is at around 13th magnitude. Basically an elongated dust mote. NGC 5480 (H.II.692) is cool. An SAc with intermediate orientation, to me it looks a little like a barred spiral, but that’s not what the NASA Extragalactic Database says. There is a dimmer elliptical galaxy in the field a mere 3’ to the east, NGC 5481. Beautiful edge-on NGC 4157 (H.I.208) might fairly be called “spectacular.” Magnitude 12.1 and 6.6’ along its major axis, it shows slightly hooked arms at the ends of its disk, and a prominent dust lane near its elongated nucleus. An SABab with intermediate inclination to us on this lonely rock, NGC 2639 (H.I.204) doesn’t look half bad. Bright nucleus and fairly extensive (1.6’) outer envelope. No signs of other details, though. NGC 4100 (H.III.717) is a near edge-on SAbc, a 5’ across galaxy that shows a patchy disk and a bright nucleus. Outstanding. Barred spiral NGC 5448 (H.II.691) shows some details. It is large, about 4’ across in images, and, when the seeing calms, I can make-out its pretty arms. NGC 4047 (H.II.741) is another intermediate inclination spiral, an SAb, but it doesn’t show much more to me than a fuzz spot. It’s bright at magnitude 13, but that’s all I can say for it. A little barred spiral, NGC 3583 (H.II.728), is nice. Shows-off its tiny arms starkly. Beautiful and bright at mag 12.1. NGC 4096 (H.I.207) is quite attractive and large at 6’ in extent. Bright off-center core and patchy, tight spiral arms. Lovely. NGC 4144 (H.II.747) is a bright and large (magnitude 12, 5.6’) edge-on. Impressive. This next target, NGC 4013 (H.II.733), is a very good edge-on. The dust lane shown in the POSS plate is not easy to see, but is fleetingly visible. NGC 3319 (H.III.700) is nice enough, but seems harder than its magnitude value of 11.7 would suggest. It is large, about 5’ across its longest dimension. It’s a barred spiral, and while I can see the bar, I can’t see much evidence of the arms themselves. Another barred spiral, NGC 3652 (H.II.775), is not much better, though I do get indications of one spiral arm in this small magnitude 12.2 ghost. The last Ursa Major denizen, NGC 4062 (H.I.174), is very pretty. A large 4’ SABc spiral with patchy-looking arms. A couple of dim field stars are involved with the galaxy. NGC 5129’s (H.II.653) main claim to fame is that it’s bright and in a field rich with small galaxies. Otherwise, it’s not much more than a slightly elongated elliptical fuzzie. NGC 4168 (H.II.105) is a bright elliptical at magnitude 12.1 and 2.8’ across. Mainly interesting because it’s, like NGC 5129, in a field full of galaxies, including NGC 4164 and NGC 4165. A lenticular, NGC 4267 (H.II.166), is a surpassingly bright S0. Hard to tell that it’s at all elongated or shows a “lens” shape, however. When the seeing cooperates, I can make out the barred spiral arms of NGC 5020 (H.II.129) with ease. I can also see a bright center in this 2.8’ size magnitude 13 SABb. NGC 4880 (H.III.83) sure is large and bright enough, but there isn’t much else of interest in this obviously elongated S0. 2.8’ across. Magnitude 13.1. NGC 4313 (H.II.63) is an edge-on SAab with a bright core and a large 4’ long disk. NGC 4647 (H.III.44) is a bright near face-on SABc nearly 3’ in diameter. It would be much more impressive if it were not adjacent to spectacular magnitude 9.8 elliptical galaxy M60, which is less than 3’ to the east. NGC 4647 does at least show its multi-arm spiral nature at times. A near edge-on SBc, NGC 4294 (H.II.61) is reasonably attractive on my monitor. It is in the same field as a face-on galaxy, NGC 4299, which is 5’ 30” to the east. The main object shows a small core at times, and a faint magnitude 14 star is just off the northern edge of the galaxy. NGC 4299 (H.II.62) is a small face-on SABdm spiral that gives some hint of odd-looking arms once in a while. NGC 4119 (H.II.14) is MUCH dimmer than I expected given its quoted value of 12.4, and a size less than 2’ across its major axis. It’s difficult to see much of anything, even with the Stellacam gain cranked up, until the seeing changes; then I make out a small elongated fuzzie. This object has been reported as a “non-existent” by some sources, but there does seem to be something here. NED concurs, though it hedges its bet by sayin’ “identification as NGC 4119 is not certain” for the object found at 12h08m09.6s +10d22m44s. NGC 4608 (H.II.69) is a barred lenticular. On the monitor, I see a bright core with a bar that’s longer than 2’. On the POSS plate, there are faint vertical extension on the ends of the bar, making the galaxy look like Darth’s tie fighter, but I can’t see those. A little face-on, NGC 4519 (H.II.158) is intriguing. When the seeing settles occasionally, I can detect spiral arm detail in this magnitude 12.9 SBd, which is 2.6’ x 2.0’ in extent. NGC 4233 (H.II.496) is a small fuzzball of a lenticular galaxy 2.3’ x 1.0 across. It’s an S0, and surprisingly bright. Highly luminous core accompanied by the easily distinguishable haze of a disk. Near edge-on Sa NGC 4224 (H.II.136) shows a nice dark-lane on the POSS, and as I stare at the galaxy on the monitor, the lane pops right out. NGC 4612 (H.II.148) is a bright, small SAB0 like countless other cosmic dandelions in Virgo. NGC 4235 (H.II.17), an edge-on SAa, is not bad, with a fairly bright core/nuclear region and an easily discernable disk. It’s listed as 4.2’ long, and I’m seeing at least 3 – 3.5’ of it this evening. Faint fuzzie NGC 4343 (H.III.94) is another small edge-on, an SAb that’s at magnitude 13.7, but, given a size of 2’, is nice and bright. IC 3102 is not much to look at, a small 13th mag lenticular. 2’ across in images. NGC 4260 (H.II.138) is an intermediate inclination barred spiral with a magnitude of 12.7. I can’t detect much in the way of detail—bright center embedded in an oval haze is about it. The next stop is a small but bright elliptical, NGC 4339 (H.II.143). Magnitude 12.3, almost round, about 2.3’ by 2.1’ in diameter. NGC 4264 (H.II.140) is a small, very small, lenticular less than 1’ in size. It’s not very interesting, but is redeemed by being set in a rich field that includes the more impressive NGC 4261 as well as small NGCs 4266 and 4260. NGC 4270 (H.II.568) is also a lenticular and doesn’t, of course, show much in the way of detail. Like the previous one, though, it’s redeemed by being set in a field full of fuzzballs. NGC 5668 (H.II.574) is a face-on SAd. Good enough, about 2’ in size. With the poor seeing, about all I see is a round smudge. NGC 4586 (H.I.125), an edge-on SAa, shows a fairly prominent nuclear region, but the 3.5’ disk is somewhat subdued. Attractive NGC 5560 (H.II.579) is a near edge-on next to a larger intermediate inclination spiral, NGC 5566. 5560’s disk shows subtle signs of being warped/distorted. Beautiful. I thought NGC 5775 (H.III.554), an edge-on SBc, would be better than it is; it’s nothing more than an elongated smudge with a slightly brighter core. Magnitude 12.2 NGC 5638 (H.II.581) is a remarkably bright elliptical about 2’ across. 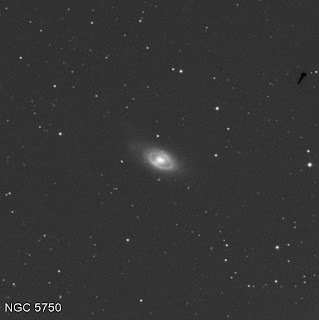 Another little galaxy, NGC 5636, is a mere 2’ to the north. It would be easy to say NGC 5864 (H.II.585) is “just another lenticular,” but it is strikingly attractive. Small, bright, sharply defined with a spindle-like shape. Several small field stars set it off. NGC 5854 (H.II.544). Looks a lot like 5638, if not quite as pretty. Not as bright or well-defined. Based on its specs, magnitude 11.8 and 4’ in size, I thought NGC 5838 (H.II.542) might be pretty good. It turns out to be nothing more than a faint fuzzie with a little of its disk in view. NGC 4045 (H.II.276), an intermediate inclination SABa, looks a lot like it does on the POSS plate—definite details of its tightly wrapped arms are seen. NGC 5806 (H.II.539) is an SABb spiral, and is more than just OK. Shows arm/dust lane detail. Mag 12.4 and about 3’ across. Yet another of the countless horde of Virgo ellipticals, NGC 4073 (H.II.277) is outstanding, like many similar ones in the area, because of the field full of island universes in which its set. At a glance, I see at least five other dust bunnies, including 4077, 4139, and 4063. NGC 5813 (H.I.127) is an amazingly bright elliptical and, like the previous one, it’s in a field studded with tiny galaxies. It’s nice to come to something other than an elliptical lint ball, and NGC 4999 (H.II.537) is definitely that. When the seeing improves, it shows delicate spiral detail in its near face-on disk, and looks just like its POSS picture. It’s a face-on SBb, and if the seeing were better this would be a showpiece. NGC 5850 (H.II.543) is a barred spiral that, in its pictures, is another of Vader’s Tie Fighters. With the seeing tonight, I don’t pick up too much of that, however. Next is a magnitude 12.4 elliptical about 2.3’ in size, the luminous NGC 5831 (H.II.540). Brightness increases steadily to the core, but there’s not much more to be said about it than that. Most sources give NGC 4904 (H.II.517) as a face-on SBcd. I can’t make out much else other than what looks like a bar/strongly elongated nucleus surrounded by faint haze. NGC 5750 H.I.183) is an SB0 that displays a curious ring feature in its POSS plate. I see this “ring” easily enough, but it’s hard to tell what it really is—a real ring or just tightly wrapped arms. NGC 5507 (H.IV.49) is a decent sight. It’s an intermediate inclination galaxy with a bright nucleus accompanied by NGC 5506 (H.II.687) 3’44” to the south, a very attractive edge-on that steals the show. NGC 4691’s (H.II.182) data asserts it is a “near face-on,” but this 11.7 magnitude S0 sure doesn’t look like that to me. It looks more edge-on. Yet another elliptical! NGC 4915 (H.IV.47) is a small magnitude 12.9 smudge that shows no other detail than that it’s possessed of a bright center. NGC 5493 (H.IV.46) is a small lenticular galaxy 2.1’ across its major axis, glowing softly at magnitude 12.3. Large central bulge and spindle shape. NGC 4941 (H.I.40), an intermediate inclination SABa, looks good in pictures and with the Stellacam, showing a large, bright central region and oval outer envelope. Sweet! 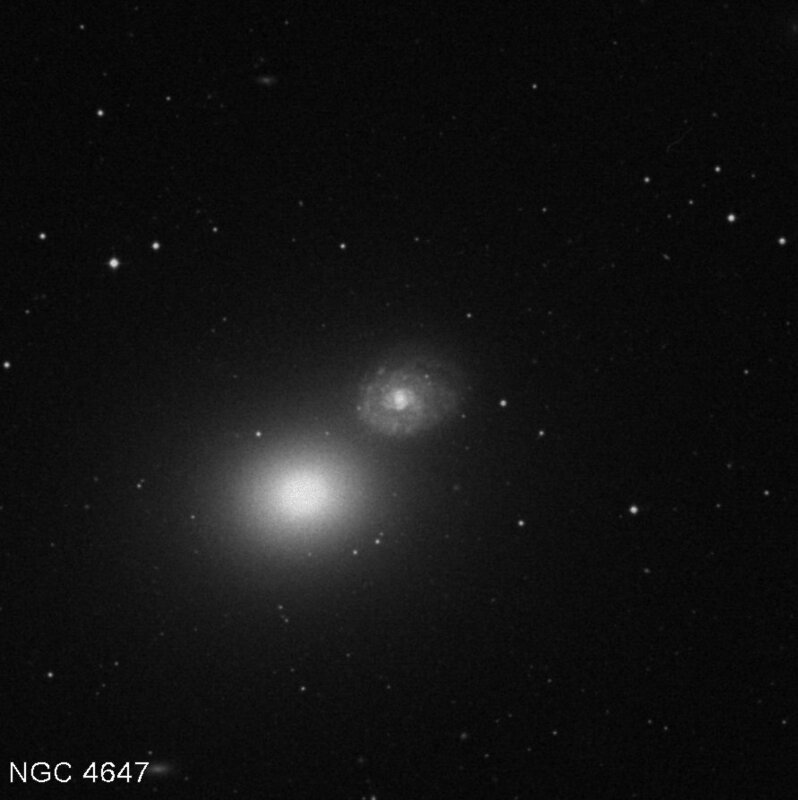 Two interacting galaxies, NGC 5426 (H.II.309) and NGC 5427 pirouette across the monitor. The non-Herschel II, NGC 5427, shows incredible spiral arm detail. NGC 4981 (H.II.189) is a fairly attractive intermediate inclination SABbc spiral. Shows some traces of arm detail. This magnitude 12.1 2.8’ x 2.0’ galaxy is involved with a bright field star of magnitude 10.8 about 1’ southeast of the galaxy’s center. NGC 4487 (H.II.776). When the atmosphere allows it, this magnitude 11.9 SABcd shows good spiral detail. One sweeping arm is particularly prominent. An SAbc spiral, small 1.3’ NGC 4928 (H.II.190) is not much. It’s just an oval fuzzie-wuzzie with a brighter center. Big mag 11.1, 4.6’ SAbc spiral galaxy NGC 4939 (H.II.561) is just so-so on the monitor: a bright center surrounded by oval haze. Very occasionally the arms do pop out of the disk. NGC 4742 (H.I.133) is a bright elliptical a little larger than 2’ across that looks a lot like a fuzzy star. NGC 5077 (H.II.193) is the brightest in a group of three prominent Virgo galaxies that includes NGC 5076 and 5079. 5077 is an elliptical that’s slightly off-round at 2.3’ x 2.0’. Face-on barred spiral NGC 4902 (H.I.69) is beautiful, with the graceful arms of this magnitude 11.8 2.6’ x 2.4’ galaxy wonderfully on display. NGC 4984 (H.II.301) is a face-on S0. This area of Virgo is getting low in the sky, and all I can make out is the galaxy’s core and maybe a little outlying haze. NGC 5044 (H.II.511) is probably partially blocked by the EZ Up tent canopy and very low. Nevertheless, this bright elliptical shows up very well indeed. Definitely elongated and magnitude 11.6. In its pictures, NGC 5037 (H.II.510) shows a bright set of arms that, viewed near edge, on resemble a ring feature. All I can see is a bright core and a disk a little over a minute across. NGC 5018 (H.II.746) is an elongated elliptical, an E3 according to NED. Bright, if somewhat large at 3.3’ x 2.5’. NGC 5087 (H.III.724) is a nicely prominent magnitude 12.2 strongly elongated elliptical. NGC 5068’s (H.II.312) a lovely face-on SBd—in pictures. Under these conditions (which are worsening rapidly with haze/clouds moving in), and as low as it is, I can’t see much of it other than a fuzzspot. NGC 5134 (H.II.314), an SABb, shows up pretty well despite low altitude. Bright core, substantial outer envelope. No sign of its tightly wrapped arms, however. NGC 5084 (H.II.313) is an S0 lenticular, and while not overly impressive, this bright and large (9.3’ across) galaxy, the last Herschel II in Virgo, is not a bad way to end the constellation. Given the poor conditions, I am only seeing the inner portion, the core and a small part of the disk of this big feller. And so it went till, almost unbelievably, the local time shown on ST3’s display began to creep on toward four o’clock in the dadgum morning. I knew I ort to be tired—I’d arisen at 6 a.m. the previous day. But I wasn’t. I was snug under the tent canopy, I was sitting down most of the night, and the air was relatively dry. In my experience, nothing saps your energy quicker than humid, dew-laden air. OK, OK, I’ll fess up; the couple of Monsters I’d poured down me throat didn’t hurt. I was ready to press on till dawn. The sky had other ideas. Ol’ Urania whispered, “Now, now Unk, you are a-getting the big head; that is enough for you,” and promptly closed-down with clouds, haze, and fog. What went through my mind as I was driving back to town? Given the late/early hour and the slightly jittery feeling brought on by the pea-picking Monster Energy Drinks, it wasn’t overly surprising I started pondering the fricking - fracking flying saucers I wrote about a couple of weeks back. Traveling down the dark and slightly spooky lane of mossy oaks on my way back to Highway 19, I couldn’t help think that if ever there were a time for the Greys to pounce on the Rodster, this was danged shore it. Alas, that bright light in the trees yonder was just another cell tower beacon. Back at the Day’s Inn it was finally my day’s end. I drank a beer or two, cycled through the cable channels. (Did y’all know there is some real weird stuff on the TV set at 4:30 in the a.m.?) That didn’t last long. Almost before I knew it, I was off to dreamland, where I resumed cruising the endless void, revisiting the very spirals Bertha and I’d seen on this dark and deep night. Another great post Unk. I enjoy reading about your astronomy trips to CAV. Anyway, the Keyspan USB seems to work well with AstroPlanner in my 32-bit Vista system. I've also tried it with NexRemote, and it starts off well, but soon NR just quits with an "unexpected error". However, that happened with my ExpressCard adapter too, so as long as AstroPlanner works I don't mind too much. I'll let you know more when I actually get a chance to run it outside to see how it really works. Have a great week and I hope Miss D's recovery continues to go well. I always enjoy reading your accounts of the storied CAV. I live in Florida, but CAV is about as far from me as it is from you in Alabama, 5hrs or so. So, to be honest with myself, I probably won't ever make it there so I experience it vicariously through your writing. Send my best to Miss D during her chemo treatment -- my thoughts are definitely with you both during this time. I have read The Georgian Star too. I loved it, but I like reading Astro History way too much. I have enjoyed your regaling about your experiences at CAV and other star parties and have always wanted to ask you – when you arrive at a site you describe your set up, EZup, computer etc. then you go back to your Motel and relax – do you actually just leave thousands of dollars of equipment unattended? Or am I missing something? Yes, I actually do, and have never, ever had a problem.